Welcome to the West Virginia State Society of Anesthesiologists. Our physicians are committed to providing the best possible medical care for the people of West Virginia. We promote the highest standards of anesthesiology and serve as an advocate for anesthesiologists and their patients. 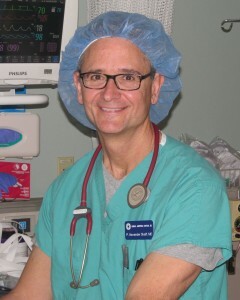 WV anesthesiologists provide sophisticated care. 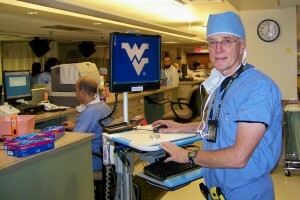 Dr Robert Johnstone in the WVU pre-op area. 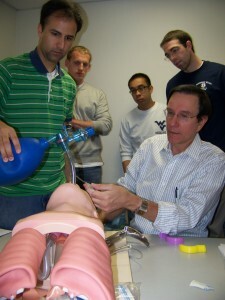 Training the next generation of anesthesiologists. Dr David Graf teaching medical students. West Virginia anesthesiologists meet with legislators and representatives to inform them about healthcare issues.